So, I am not very good when it comes to grocery lists. I often forget that I already have something and end up buying it a second time. This happened a few days ago. While at the store, buying the ingredients I needed for some lovely Chicken Enchiladas with Chipotle Sour Cream Sauce (recipe coming up on Wednesday next week), I forgot I already had a pint of sour cream at home and bought a second. When I got home and saw that I already had more than enough sour cream I decided to find a new use for the extra. What I came up with is a play on a traditional drop sugar cookie. I decided, since I was going to replace part of the butter with sour cream, I may as well brown the butter. 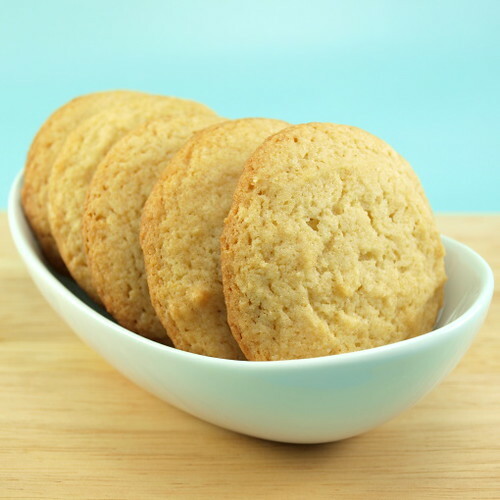 The nutty flavor adds a subtle depth to the finished cookies. 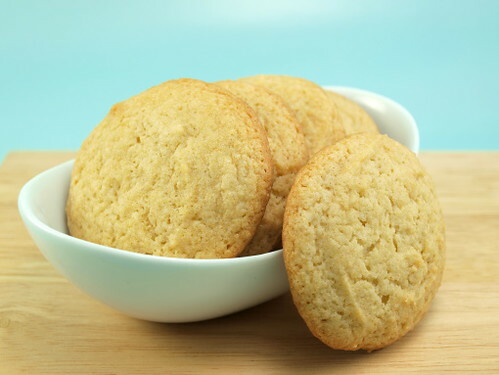 Texture wise, these are crisp just out of the oven but as they cool they soften and become almost cake like. 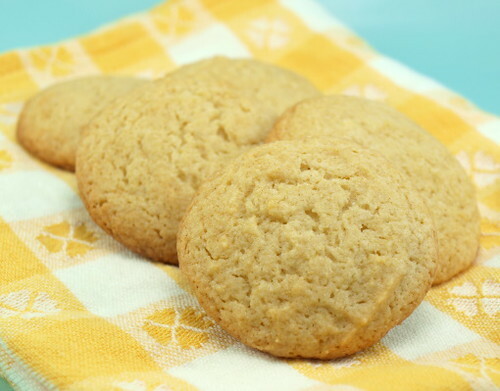 These would be perfect for a party, an after-school snack, or decorated with some frosting for a fancy treat. 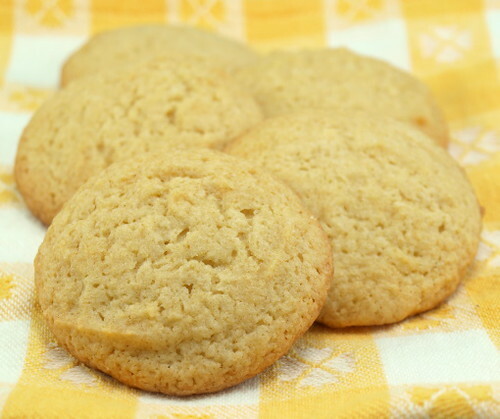 So, break out your sour cream and bake a batch of yum! In a medium bowl cream together the butter and the sugar. The mixture will be very wet. 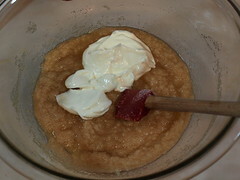 Add the vanilla and sour cream and mix until well blended. In a small bowl sift together the dry ingredients. 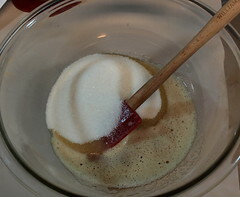 Add the dry into the wet and mix until well incorporated, but do not over mix. 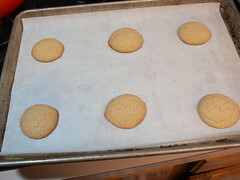 Scoop out the cookies by the rounded tablespoon on the prepared pans. 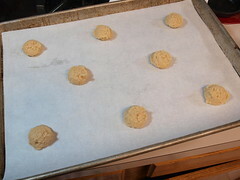 Bake for 10 – 12 minutes, or until golden around the edges while still pale in the center. Cool on the pan for five minutes before transferring to a wire rack to cool completely.